full of soft lead that looks like frozen surf. Luke now taller than his dad. “Give Dan a call,” Luke said. “He’s drivin’ now. 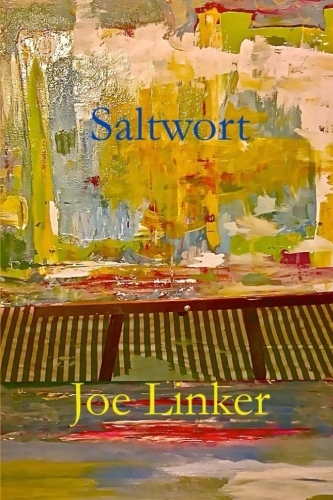 and he ran his rough hand meanly over Jack’s salt matted hair. “I’m afraid my surfin’ days are near over, kid,” Luke said. behind Roman’s, off Devil’s Path. He was working on an old Chevy beater. He was a cross between a surfer and a hodad. but it was a question, and Dan laughed. “All you think about is surfing, kid,” Dan said. “I have to give Grandma a ride to mass. then we’ll drive down and check out some waves. You hear Gary got shot? Not coming home, though. “I love the mass,” Danny’s grandma said. smelling like toilet water and wax. “I love the quiet, the peace. nothin’ about it, how I love the sudden bells. and Danny’s grandma saw the salt water in Jack’s eyes. “But,” she said, spitting it out, and paused. “You go to mass without me during Lent. Jack could hear the waves laughing at him. a breeze hisses like a glass blower’s torch. the waves a glass cavalry menagerie. A different kind of mass, closer to source. Moist eyes here. Sorry, can’t keep up with your outpouring, some, stretching the frame, make me giggle. Thanks for reading and comment, Ashen. Sorry for the deluge! But the real rain has let up, and spring is in the air! 🙂 Here too – opening windows and doors to the garden, a delight. My creative deluge is presently poured into the last chapter of ‘Shapers.’ Then pruning, digging and planting – text and garden. Lent , plumber , surfer ; bitchin . Yeah, but edited out some of the slang. Something wasn’t right with that line. One too many assumptions, maybe. Ah! That business about the bees is good. Michael Pollan recently in The New Yorker argues for a kind of conscious plant life. It’s persuasive, though of course the traditional biologists object. I commented on Pollan’s piece here. “Energy is Eternal Delight,” Blake said. “Without contraries is no progression. Attraction and repulsion, reason and energy, love and hate, are necessary to human existence.” Had William Blake lived on Santa Monica Bay circa 1950’s thru 1970’s, surely he would have been a surfer. “Are we drawn to careers that resemble our names?” I hope not. Good to question things, no doubt, sometimes seen as a challenge, but it’s to look for something.